Next Stop: Yarralumla Play Station! Wondering what to do with the ‘littlies’ these school holidays? 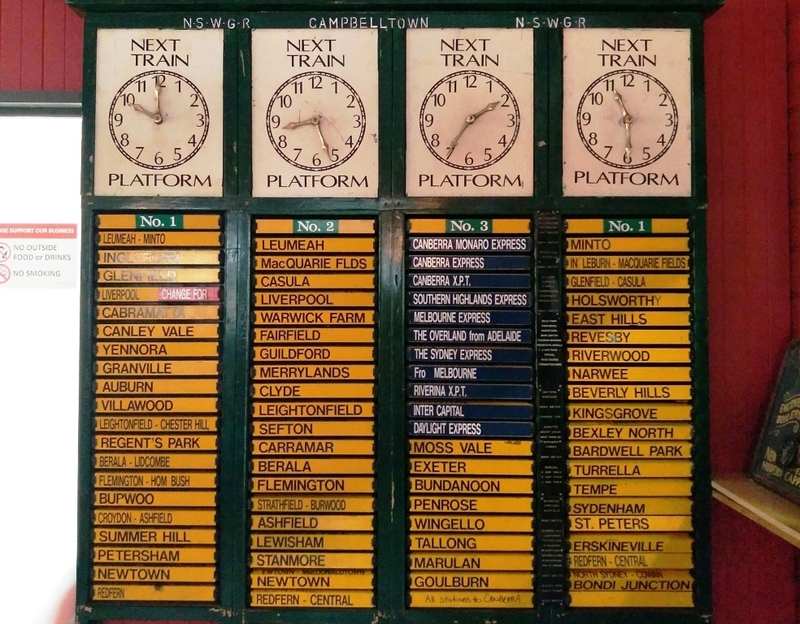 Always popular with young families, especially those with Thomas the Tank Engine fans, the Yarralumla Play Station is bound to appeal. 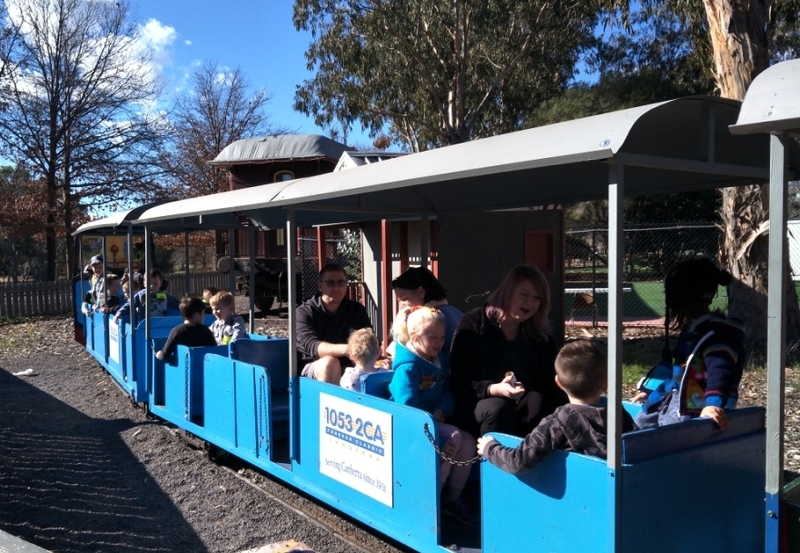 Well-loved as a destination for children’s birthday parties, the small and neat train-themed park offers a whole range of activities, including a mini putt golf course, authentic 1910 railways carriages, and a warm and friendly cafe for winter lunches. But wait, there is something new! The Farm Friends farmyard area has just opened and there are furry farmyard friends to be made. Always a bit of a sucker for a bit of baa, grunt, quack or moo from baby farm animals, I was keen to see the newly revamped farmyard. I love the idea of combining a ride on the much-loved Bluebell miniature railway, with the chance to meet the new arrivals. 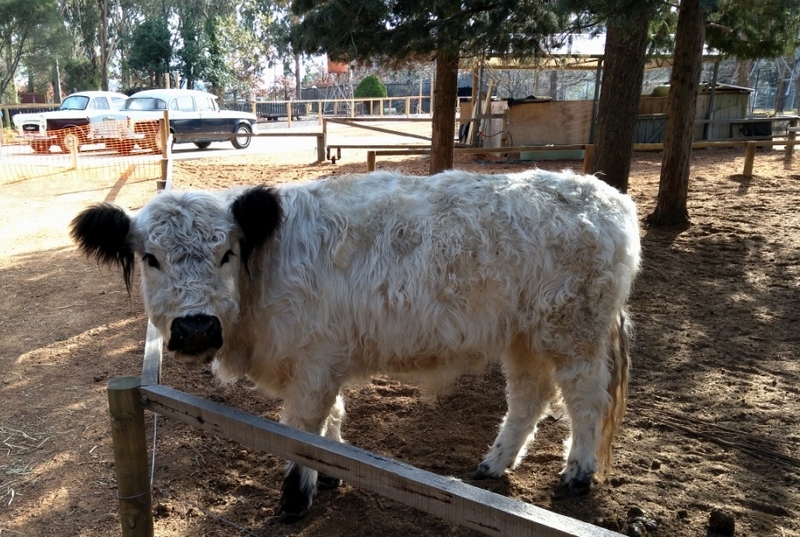 Halfway around the circuit, the train stops and visitors can alight and spend half an hour meeting and feeding the Station’s delightful little farmyard tribe. I quickly found my favourites. The mini pig family, consisting of Keven, Miss Piggy, Babe and Corky, greet all visitors with great enthusiasm. No doubt they have figured out the small white cups we were all holding contained something they are really keen on – their special food! 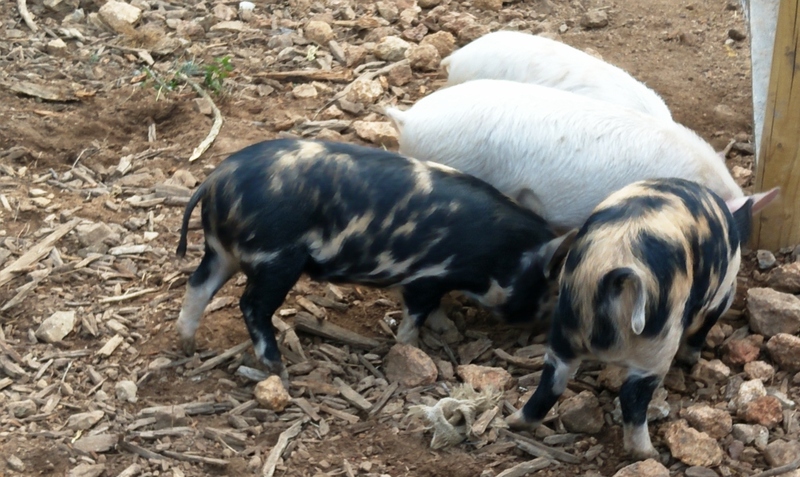 These delightful little piggies are actually miniature pot belly pigs, and will only grow to about 60 cm high and weigh 30 kg. I always love to see peacocks, and the morning I visited, there was one displaying full plumage. He was in with a large number of chickens, a lone bunny and a whole lot of cockatoos who had dropped in for a bit of a screech and a squawk. 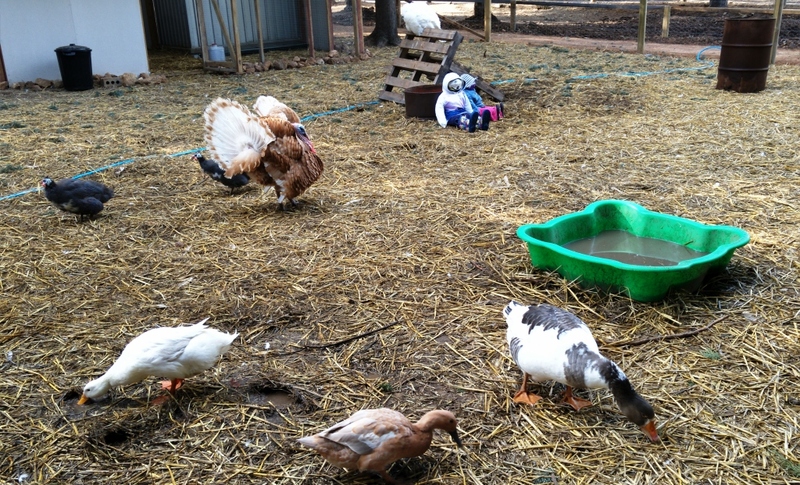 Nearby was a lovely muddy duck yard with two succulent-looking turkeys strutting around as though they owned the place. 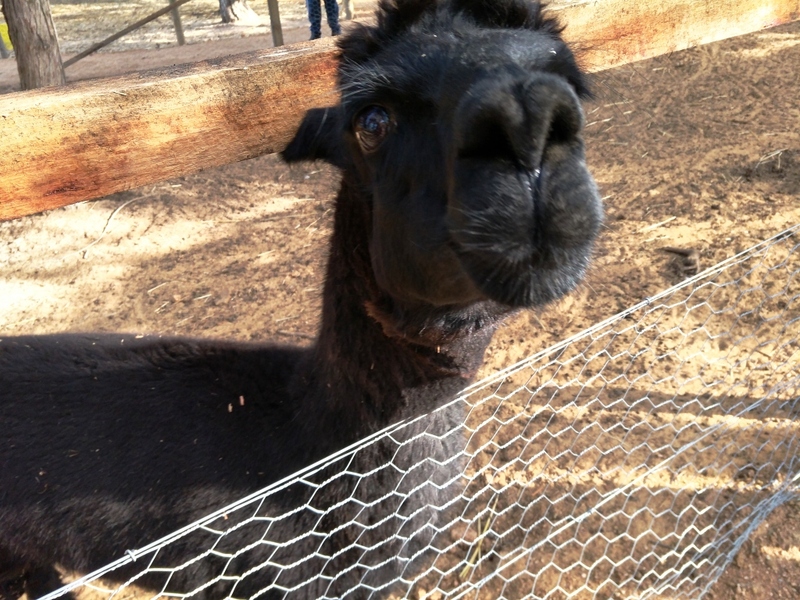 There is a small family of alpacas and Kuzco, the handsome black alpaca has the serious task of scaring away foxes and noisy dogs. He is very friendly but must always be fed with a flat palm. Who can resist those beautiful eyes? Half an hour later, the train arrives back at the farmyard and it is ‘all aboard’ for the return journey. At the end of your visit to the farm, the cafe awaits. 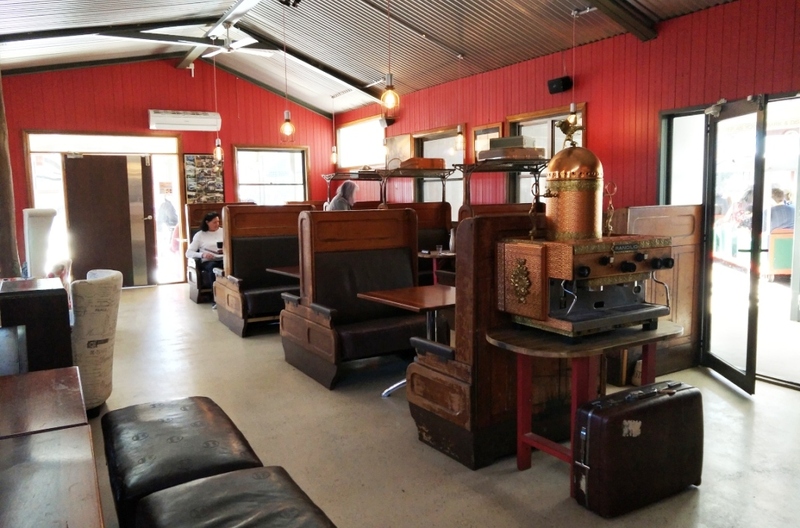 I love the train-themed Station Stop Cafe: decorated with old suitcases, tennis racquets, and other railway memorabilia, there is nice ambiance to this space, with a variety of seating areas. The new chef Mo has put together a really appealing menu, including an interesting all-day breakfast menu, milkshakes, burgers, and salads. I can personally endorse the coffee! It was hot and strong and I had to resist ordering a second one. This is a slow-paced activity suitable for a whole range of age groups. The train I was on was full of families with a lot of little children and it was a delight to watch them as they met their new Farm Friends. It is important for families visiting to ensure they supervise children at all times and encourage quiet and calm voices around the animals. 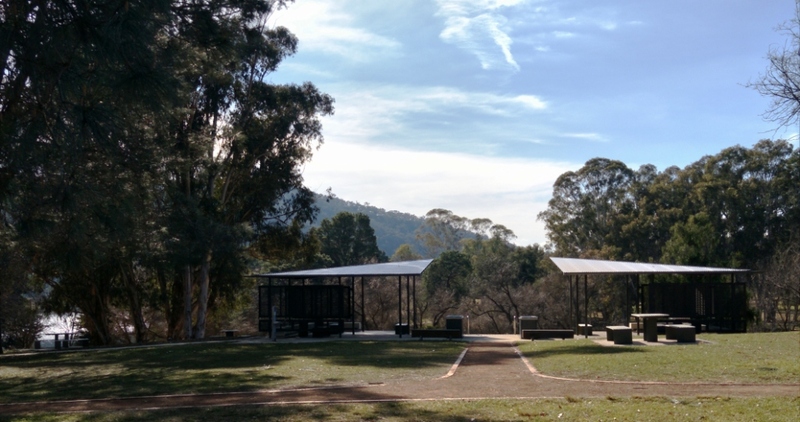 Yarralumla Play Station is located in Weston Park with lovely views of the Lake. 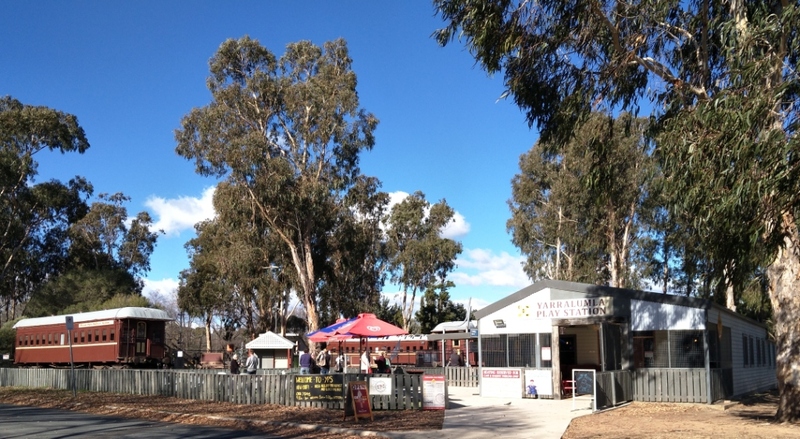 There are lots of adjacent walking and cycling paths, public BBQ facilities suitable for large groups across the road, and that ever diminishing amenity in Canberra – free parking! When: Open 7 days. Monday to Friday 9.30 am – 3 pm. Saturday and Sunday 8 am – 5.30 pm.